A hologram of the legendary soprano Maria Callas is currently touring North America and Europe. The irony couldn't have been more vivid when Maria Callas sang the words "The dead don't rise again from the grave," from Verdi's opera Macbeth, on stage Friday night at the Moss Arts Center in Blacksburg, Va. It was, appropriately, All Souls Day, as the greatest opera singer of modern times, dressed in a white sleeveless gown and shawl, gestured expressively with her hands and face, and for a few minutes fully inhabited Verdi's unhinged, hallucinating character. But it was the audience, of course, who was seeing things. 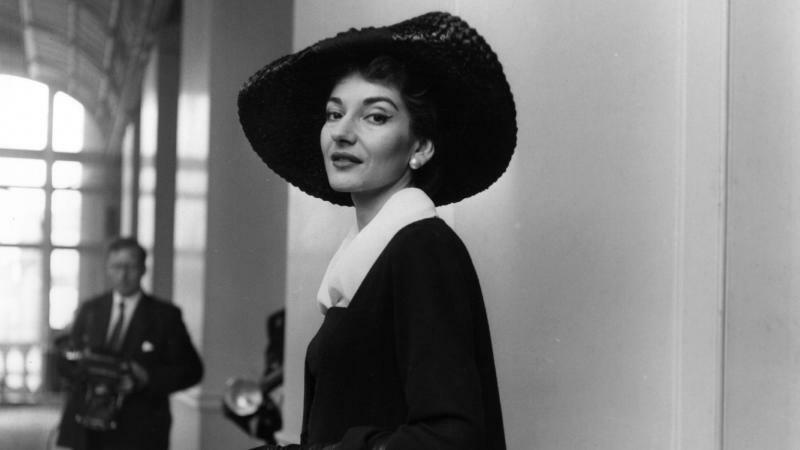 It wasn't the real Callas, the electrifying soprano who died just over 41 years ago. Instead it was a surprisingly life-like, and literally electric, three-dimensional hologram of the diva, lip-synching to her famous recordings, accompanied by a live orchestra. Callas in Concert is a 90-minute show, produced by BASE Hologram, a Los Angeles company currently mounting the Callas tour (as well as one featuring a hologram of the late Roy Orbison, which appeared in Washington, D.C. last week), and directed by veteran opera director Stephen Wadsworth. Conductor Eímear Noone travels with the Callas production to lead local ensembles, in this case a vibrant Roanoke Symphony Orchestra. The experience forced me to wade through the fluid boundaries between truth and fiction today, what role technology plays and classical music's special relationship with the dead. As an ardent fan of Callas, one who has collected her many recordings and the few videos of her that exist, and who has for 20 years kept a life-size cardboard cutout of the singer beside my desk for company, there were moments Friday night that felt unsettlingly real. The way she fussed with her shawl before the next aria, the expressive way she moved her long arms, crossed over her chest or reaching for an emotion; these small gestures were painstakingly reimagined from concert footage from Hamburg and Paris in the 1950s. At one point the holographic Callas stopped the conductor, motioning to start over after the orchestra had already begun. At a time when political campaigns are hacked, algorithms decide our shopping options, news is supposedly fake and politicians lie with impunity, we are continually forced to choose between what is real and what is fabricated. I found myself doing just that during Callas in Concert. As the "performance" progressed, I gradually became immune to the production's obvious absurdities and technical deficiencies, inching toward belief. Research shows that if people are told the sky is green often enough, a few will begin to believe it. During Puccini's "Vissi d'arte," the first of two encores, as the music swelled to its potent climax, I was embarrassed to feel a tear clinging to my cheek. That's not really her up there on stage. But opera's stock and trade is the suspension of belief — that people convey their thoughts and emotions not by talking but through some kind of highly educated yelling in song. Still, how far was I willing to suspend reality? Every opera I've ever seen has been sung by humans, not holograms. When we eagerly begged for that encore — an age-old musical transaction between performer and audience — who were we really imploring? Callas the dead diva, Callas the hologram or the technology that created her? 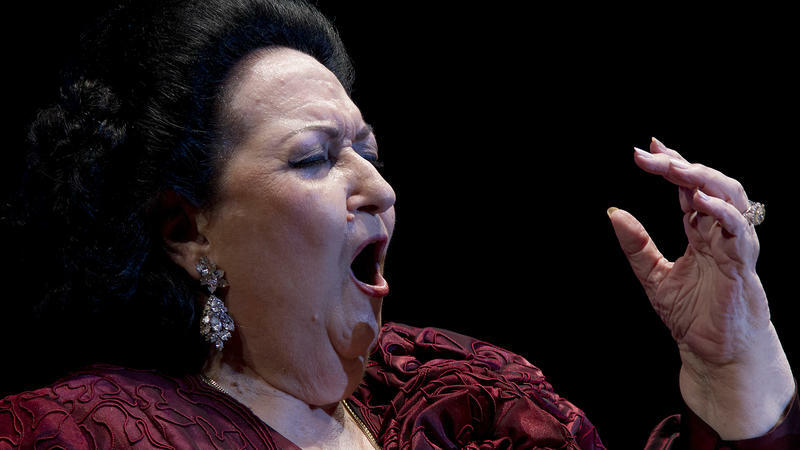 But maybe, even for a fleeting moment, what's wrong with wanting to feel like you're actually at a Callas recital? Blacksburg resident Glenn Dorsey got pulled in. "I felt like I was in the presence of a truly great opera performer," he said after the curtain closed on "Casta diva," the final encore. "That was the treat for me. I will never get to see her perform, but I felt like I did." His wife Harriet admitted she'd never heard a Callas recording but was impressed at how "her personality shone through." Seated in front of the Dorseys was a Callas fanatic named Don Rude. He owns every note Callas recorded. "It exceeded my wildest expectations," he said, beaming. His wife, although she enjoyed it, was more skeptical. 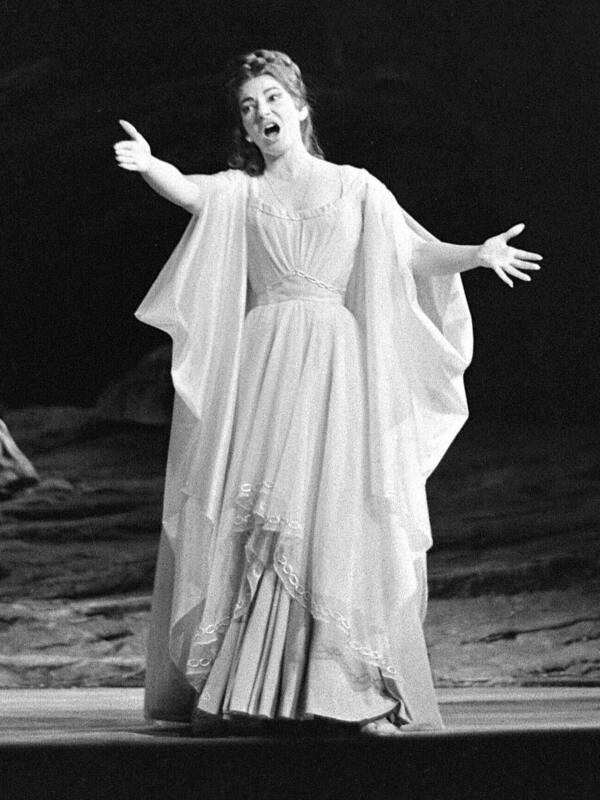 The real Maria Callas, singing the title role in Bellini's Norma, in Paris in 1964. The moments, either planned or unintentional, where the production revealed itself as the theatrical sleight of hand that it was, were oddly reassuring. Perhaps the most memorable occurred at the close of a scene in Bizet's Carmen. The holographic Callas tossed a deck of cards above her head, where they suddenly froze for a moment in mid-air. While they floated gently down, the orchestra made a seamless transition to the scene from Macbeth. It was a tasteful trick that worked. On the other hand, one limitation, it seems, of the technology (the details of which BASE Hologram would rather not divulge) is that in certain positions, when there is something solid behind the hologram, you can see through it, giving Callas an especially ghostly appearance when, for instance, she walked on and off stage, passing the violin section. One undoubtedly real thing about Callas in Concert was the voice — that penetrating source of truth that poured deep meaning into every single word. 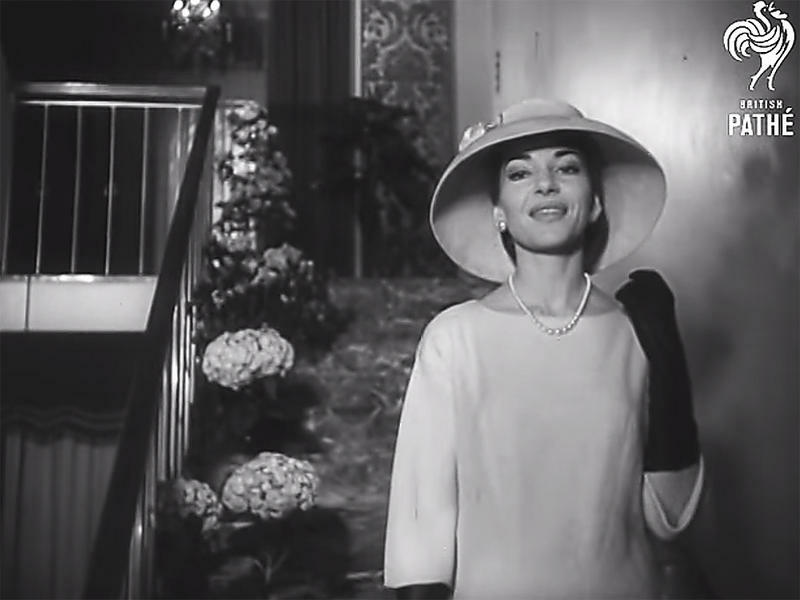 In her day, Callas created a new, and perhaps unmatched, standard for the idea of a singing actor. And yet the audio was least stable aspect of the technology. 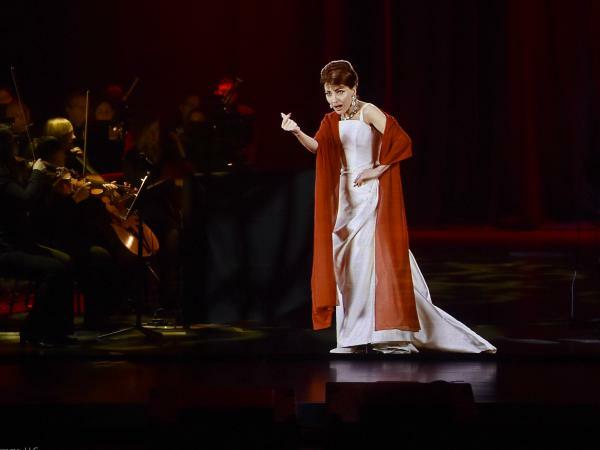 BASE Hologram's trick is to strip away the orchestral accompaniment from Callas' original recordings so that a live orchestra can take its place. One overall problem is that the voice doesn't sound like it's coming from a human body; it's somehow all over the place, radiating out of loudspeakers. On stage, when a real singer turns his or her head, as the holographic Callas did, the natural projection of sound skews to one side. Here, everything was static. But after a while, your ear adjusts. What's hard to reconcile are the strange-sounding notes. Most evident in the beloved "Habanera" from Carmen, some pitches came off with an odd reverberation, while others randomly sounded like they were produced inside a tin can. This is an issue worth tweaking, and perhaps that's why this production is playing in just four small U.S. markets before moving on to London, Paris and Amsterdam later this month. Although the real Callas was not always a note-perfect singer, she would be appalled at all the imperfections. The mere idea of conjuring the ghost of Callas, an artist who lived to make her portrayals palpably real, is arguably a disservice. 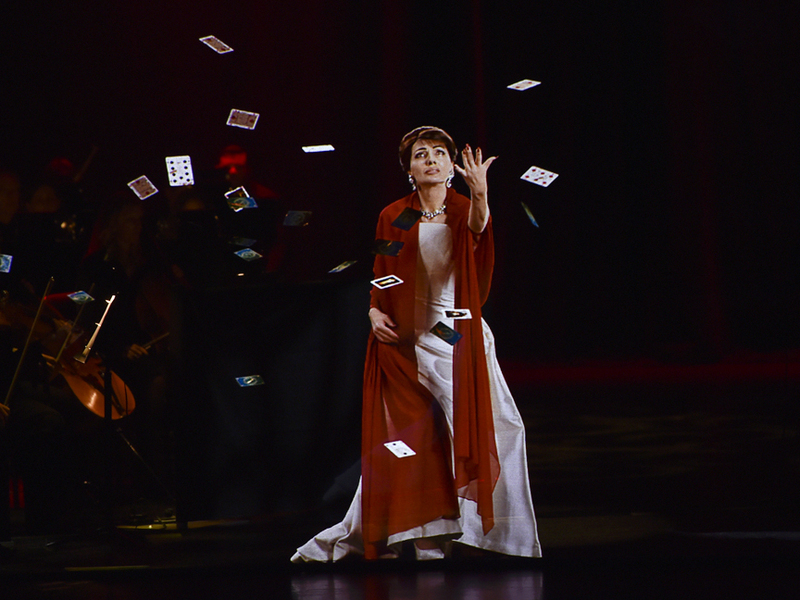 Maria Callas, the hologram, tosses cards, which hover, momentarily, in mid-air, in the production Callas in Concert. For classical music lovers, though, specters of the dead are constantly in our face. Composers hundreds of years deceased are our staple diet; their music gets reinterpreted generation after generation. And with today's orchestras and opera companies still resistant to new music, classical enthusiasts have little else to live on, compared to pop music fans who thrive on the here and now. If Mozart could rise from the dead, he'd be shocked to learn that in 2018 we are hearing so much old music. New compositions were all that mattered in his day. Cynics may argue that Callas in Concert is not much more than the usual cashing-in-on-Callas phenomenon, but tech-heads might be more forgiving. Marty Tudor, BASE Hologram's executive producer for the Callas show, had some ideas on where this was all leading. We could have holograms of artists performing in our living rooms not long from now, he said in a phone interview. Mix that with some forms of artificial intelligence, and you could have a more interactive experience, where the artist responds directly to you and each performance could be unique. As it was, the holographic Callas never said a word to the audience and she occasionally reacted to applause when it had already died out. In a feeble attempt at spontaneity, she accepted a "real" rose from the conductor in a switcheroo trick at the closing moments. As bravos were shouted out, it brought me back to a moment just before the show began, all giddy with anticipation. Tonight "we're bringing Maria Callas back to life," Ruth Waalkes, executive director of the Moss Arts Center, had said. And suddenly I felt so strange applauding a hologram. The psychological thriller that inspired Alfred Hitchcock's 1964 film Marnie has been reborn in Nico Mulhy's opera, and has also spawned a new suite for orchestra. WRTI's Susan Lewis has more.